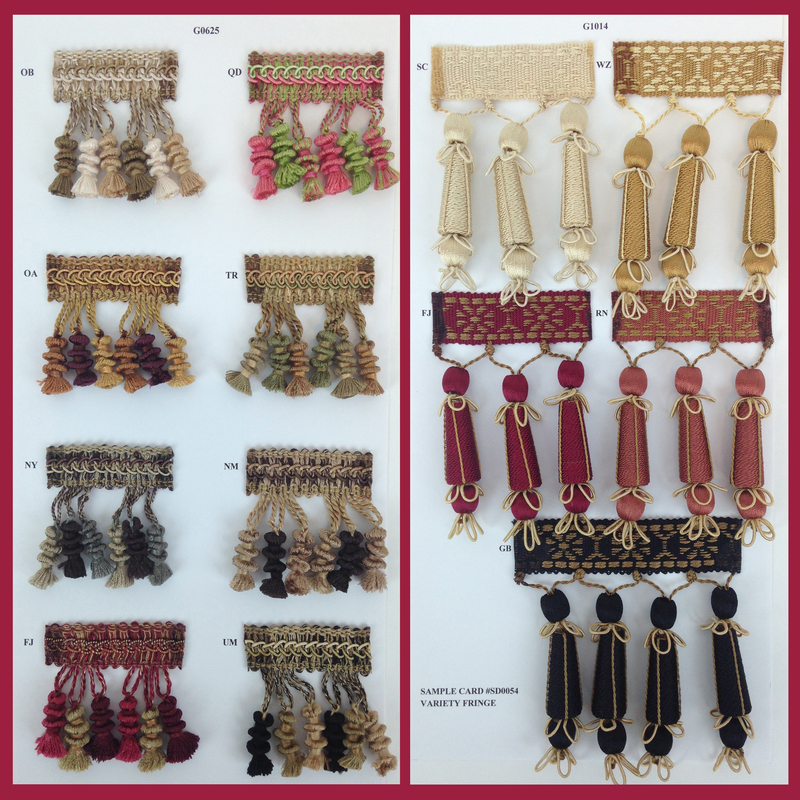 D’kei offers a wide variety of tassel fringe that never goes out of style. 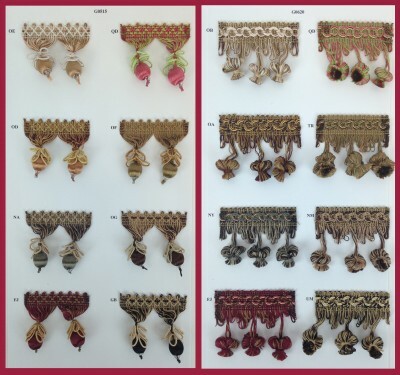 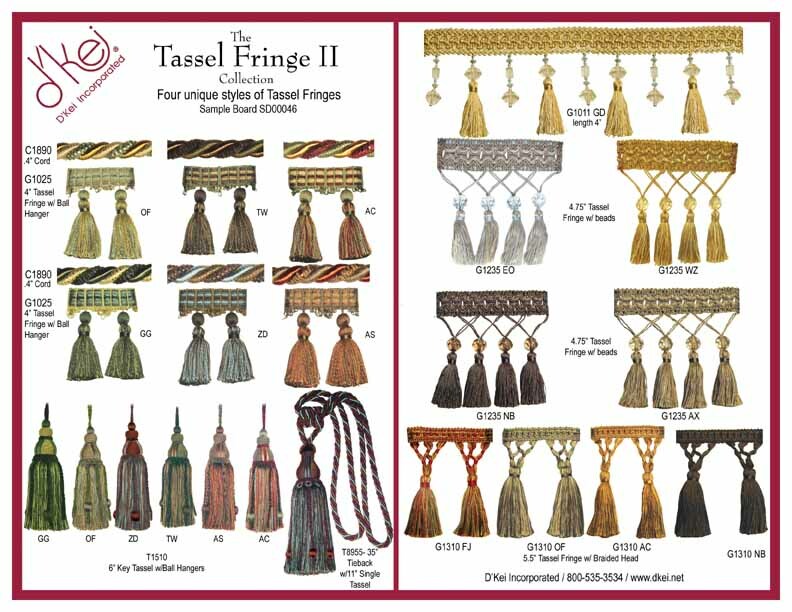 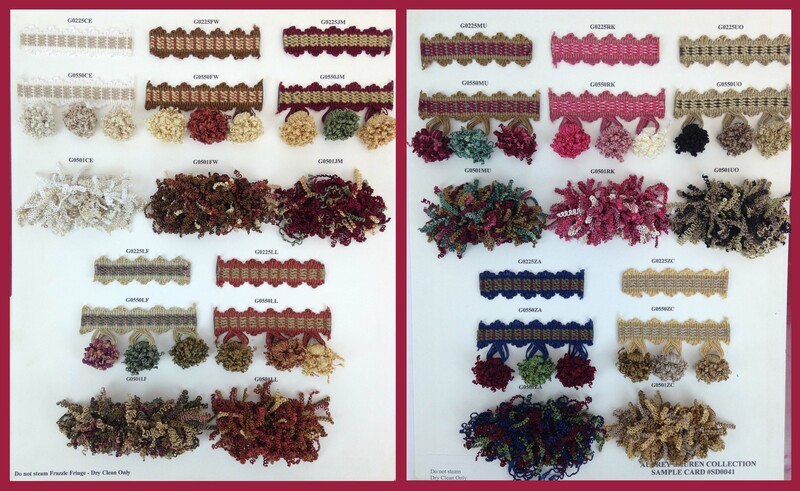 Here you will find a variety of traditional tassel fringe as well as unique textures and shapes with ball fringe, scrunchy frazzle ball fringe, tied cluster tassel fringe, onion fringe, as well as beaded tassel fringe. 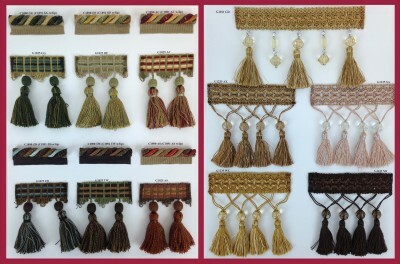 From elegant to fun and whimsical, you will find the perfect drapery fringe or pillow fringe here! All sample boards shown below available to purchase.